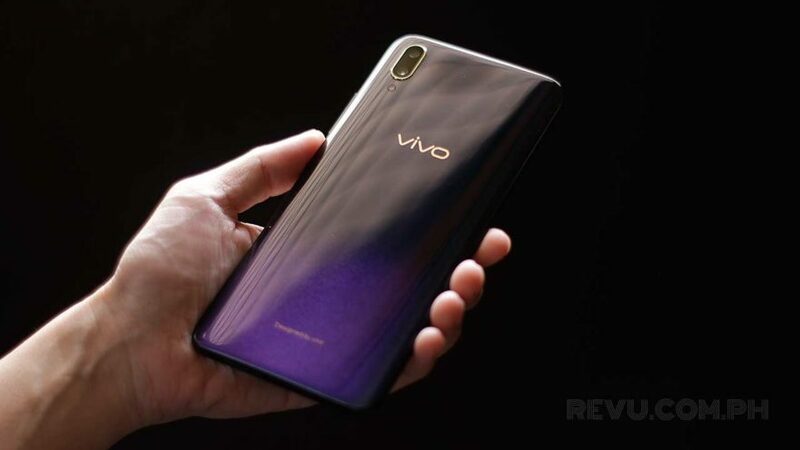 The Vivo V11 is priced at P19,999 (roughly $370) locally and ready for preorder until September 20 through the company’s offline stores and online retailers Lazada, Shopee, and Argomall. You can expect freebies worth up to P3,490 ($65) if you order the phone before it drops on September 21. Your color options are Starry Night, or black paired with a blue-purple glittery gradient, and Nebula, which smoothly transitions from blue to purple at the base. The manufacturer has equipped the V11 with an in-display fingerprint reader — and this one marks a series first. Only a handful of phones on the market have a fingerprint scanner built into their screens, and most are made by Vivo. The Vivo NEX flagship and X21, which has already been unveiled here, are among them. The Vivo V11 arrives with a 6.4-inch, 2,340 x 1,080 OLED screen for a bright and vibrant picture, and comes with always-on functionality as well. The aspect ratio is 19.5:9, making it one of the tallest devices ever on the company’s roster. More impressively, the phone has the smallest notch we’ve seen on a locally available device (the Essential Phone obviously doesn’t count). The cutout at the top is slightly smaller, more attractive than that of the OPPO F9, which makes it more like a hardware feature than a design compromise. The Vivo V11 has the smallest notch we’ve seen on a device that’s officially available in the Philippines. Around the back, you get two cameras for shooting portraits or photos with a shallow depth of field. The primary 12-megapixel camera is assisted by a 5-megapixel camera. The selfie shooter, pleasingly sharp, packs a 25-megapixel sensor. 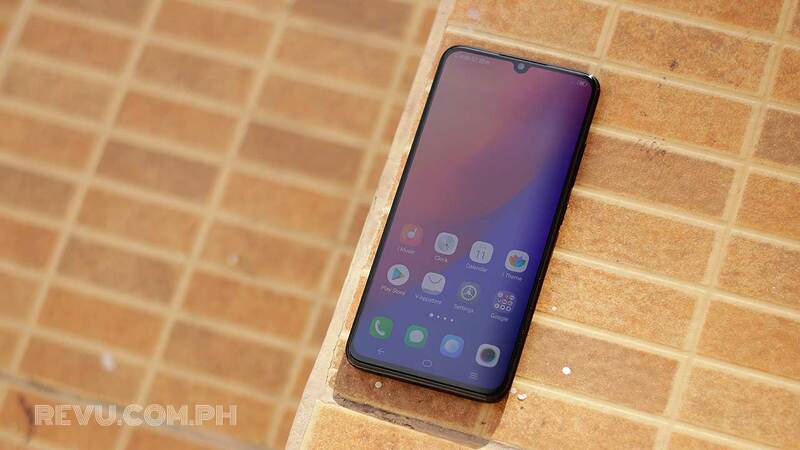 Powering the Vivo V11 is the decently powerful Qualcomm Snapdragon 660 coupled with 6GB RAM and 64GB of expandable storage, at least in the Philippines. It’s the same silicon inside the Vivo X21 and Xiaomi Mi A2. The battery is rated at 3,400mAh and supports Vivo’s own fast-charging standard using the bundled 18-watt charger.